Agriculture Minister Lauds New MSc in Integrated Rural Development — UTech, Ja. Hon. 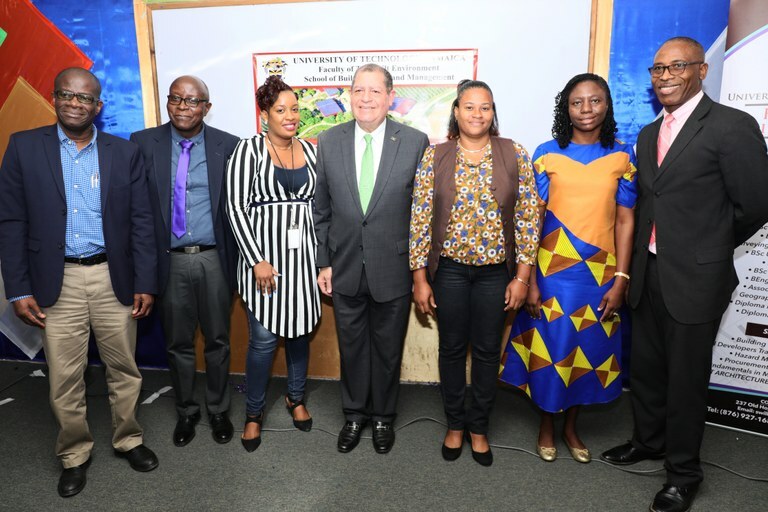 Audley Shaw (centre), Minister of Industry, Commerce, Agriculture and Fisheries poses with students from the first cohort of the new University of Technology, Jamaica’s MSc in Integrated Rural Development (MIRD), Lickeesha Aikkins (3rd left), Nadine Wilson Smith (1st right) and Raina Steele (2nd right). Sharing in the occasion are members of UTech, Jamaica’s leadership, (from left), Dr. Paul Ivey, Associate Vice President, Graduate Studies, Research and Entrepreneurship, Dr. Amani Ishemo, Programme Coordinator, MIRD and Dr Garfield Young, Dean, Faculty of The Built Environment. Hon. 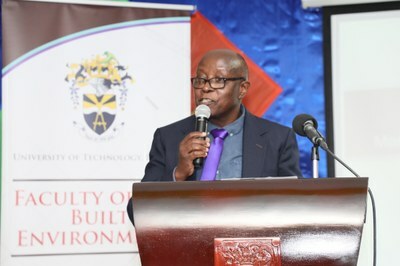 Audley Shaw, Minister of Industry, Commerce, Agriculture and Fisheries has lauded the new Master of Science in Integrated Rural Development launched by the University of Technology, Jamaica, as “a great initiative whose time has come.” The Minister was delivering the key address at the programme’s launch ceremony at the University’s Papine Campus on Thursday, February 7, 2019. 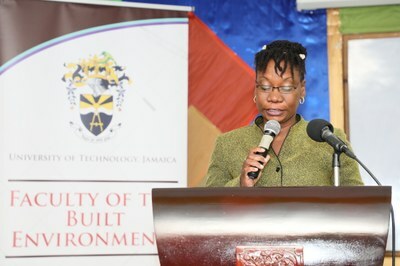 Minister Shaw told the gathering that the new UTech, Jamaica graduate programme accords well with the Government’s transformation and development plans in rural integrated development. He elaborated on plans for rationalization of idle, former sugar lands which he reported is currently being leased to applicants for production of alternative crops such as Sea Island cotton and castor beans. The Minister also spoke of the vast potential in the agro processing industry and the largely untapped seeds of benefit to be gained from new markets in the hotel industry, in CARICOM member states, the Jamaican Diaspora in Canada, USA and England, as well as in a national school feeding programme which utilizes locally grown and produced foods. President of the University of Technology, Jamaica, Professor Stephen Vasciannie, in remarks delivered by Dr. Paul Ivey, AVP, Graduate Studies, Entrepreneurship and Research, noted that “the Master’s programme has been developed in direct response to national development goals of solving rural development problems and is aimed at boosting the country’s capacity to benefit from the vast potential of rural modernization and development.” The President also noted that it is good that the imbalance in development between urban and rural areas is being addressed by a shift in focus and resources. An overview of the new Integrated Rural Development master’s programme, was given by Programme Coordinator, Dr. Amani Ishemo who highlighted key aspects of the course of study. The programme consists of 11 modules which will be delivered over 18 months or six semesters with specialisations in Rural Entrepreneurship, Rural Land Management and Settlement Development. The first cohort began the programme in January 2019. Dean of the Faculty of The Built Environment, Dr. Garfield Young who chaired the launch ceremony, expressed gratitude to the Programme’s Coordinator, Dr. Amani Ishemo, other members of the faculty and the wider university, as well as the several agencies of government and other local and international partners who have been instrumental in bringing the MSc in Integrated Rural Development to fruition. Partner agencies include Rural Agricultural Development Authority (RADA), the Inter- American Institute for Corporation on Agriculture (IICA) and The Bureau of Standards all of which have in place MoU partnership arrangements with the university; the Scientific Research Council (SRC), the Planning Institute of Jamaica (PIOJ) and Brandon University, Canada. 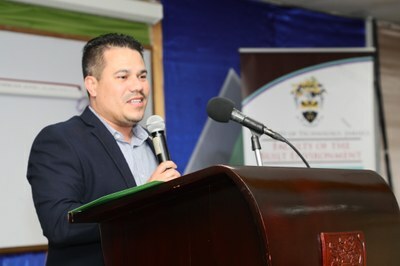 Partner remarks were received from Dr. Elizabeth Johnson, IICA Country Representative, Senator Mathew Samuda, Chairman, Bureau of Standards and Ms. Bridgette Williams, Senior Director, Human Resource Management and Administration, RADA who represented Mr. Peter Thompson, CEO, RADA. Partners’ Endorsements: (l-r) Dr. Elizabeth Johnson, IICA Country Representative, Ms. Bridgette Williams, Senior Director, Human Resource Management and Administration, RADA and Senator Mathew Samuda, Chairman, Bureau of Standards. 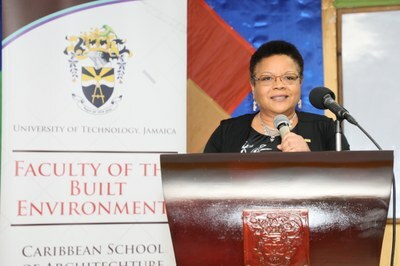 The milestone launch marked the first graduate programme to be introduced since UTech, Jamaica gained institutional accreditation from the University Council of Jamaica in December 2018.